The MicroTrap™ VOD/Data Recorder is an affordable unit to provide a variety of different testing configurations. This unit will allow the measurement of multiple blastholes on a single line of VOD PROBECABLE to provide multiple pieces of information. These pieces include but are not limited to: VOD of each blasthole, the actual relative timing of the measured holes and the length of explosive column above the booster. This unit is also expandable. There are two different upgrades available, memory and scope. With the upgrade in the memory, the unit will double in memory capacity to 8 million data points total. The scope upgrade will allow the user to measure up to 4 channels of DC voltage between -10 and 10 volts. A MicroTrap™ VOD/Data Recorder is a very important instrument when dynamic sensors are needed to be measured when the signal change occurs extremely fast. For example, VOD can be anywhere between 2500 to 9000 m/s, therefore an equally quick instrument is required to measure the change. 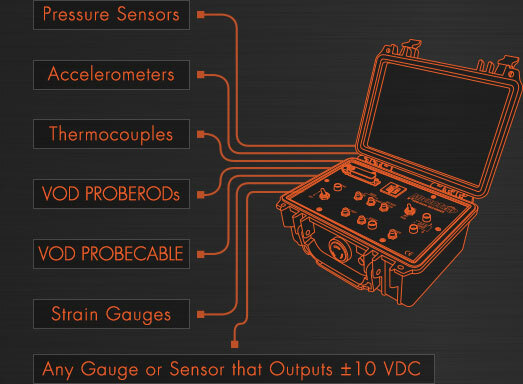 With the optional scope upgrade, the MicroTrap™ VOD/Data Recorder can measure a variety of sensors including Pressure Sensors, Accelerometers, Thermocouples or any other ± 10 Volt DC Signal. For more information, click here. 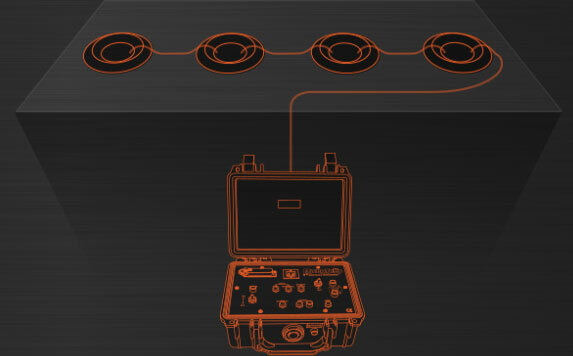 Using the MicroTrap™ VOD/Data Recorder, the VOD PROBECABLE can be placed in multiple holes to measure the VOD of the explosives in the hole, the timing of the holes, length of column of explosives above the booster, the location of the booster in the first hole, the effectiveness of the decking material and many more. 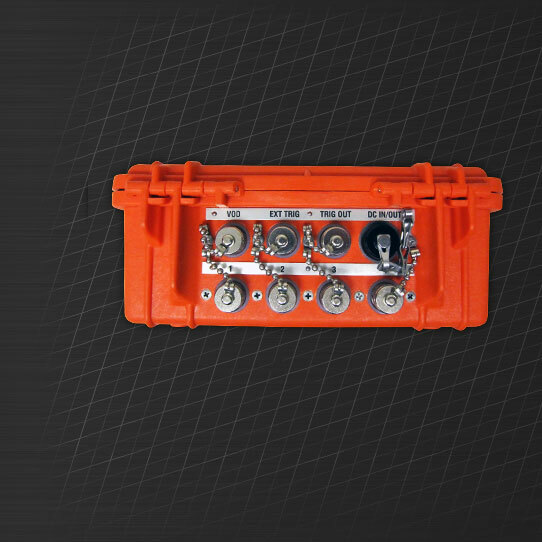 With the MicroTrap™ VOD/Data Recorder a single length of VOD PROBECABLE multiple pieces of data can be collected. This will extend the functionality of a single channel of data.